Since she scored a global smash with her debut album Eye to the Telescope in 2004, KT Tunstall has been one of the UK's top singer-songwriters. Over the decade that followed she released, three more acclaimed albums: Drastic Fantastic, Tiger Suit and Invisible Empire//Crescent Moon. Tunstall took several years off from 2012 and moved to Venice Beach, California. She returned to the music scene again in 2016 in a big way, with the first of a trilogy of albums, KIN. The summer of 2018 marked the arrival of the second offering in that triology, body. 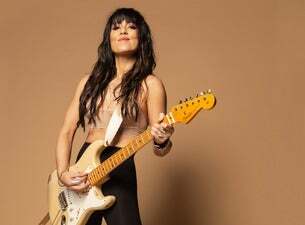 And now Tunstall has announced she's about to release the third album, WAX, as follow it with a full UK tour (with an all-female band) in March 2019.